Books I just HAD to buy... but still haven't read. Every time I buy a book and I'm with my boyfriend at the time, he always complains. He usually tells me how I have hundreds that I have bought but haven't read yet. I always tell him that he is exaggerating, but then I organised my books and realised the seriousness of my problem. So, I am hoping this post will shame me into getting rid of some - maybe, the ones I got from the place near my old library that did 3 paperbacks for £1; it's an amazing deal but I will probably never read half of them. From storage boxes - half of which I will probably never read! Now to figure out what to do with the ones I will probably never read. I have a grand total of 299 books that I own but haven't read yet - excluding Kindle books. I am hoping that a lot of you have the same problem and it isn't just me! How have I not continued the A Song of Ice & Fire series? I absolutely loved the first book, but I think it's the size of them that put me off, especially when I have so many books to read. 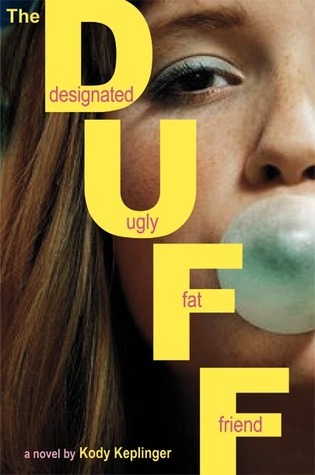 Duff just looks like a fun read and I have had it FOREVER. Easy, I have heard so many great things about. The Gallagher Girl series is brilliant, I need to finish. 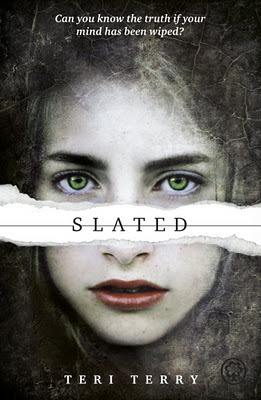 Slated looks good and I have the third one as an ARC. Monument 14, have had ages. Goddess - I need to finish yet another series. 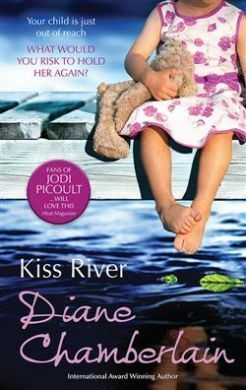 Kiss River - I love Diane Chamberlain and have four new books of hers that I haven't read yet. 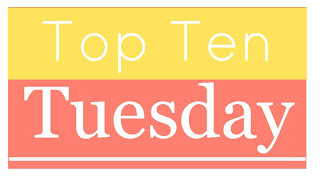 Pivot Point, The Arcived, Fangirl, Shatter Me, Not A Drop To Drink, The Darkest Minds, Article 5, Horde, Daughter of Smoke and Bone, Delirium, Shadow & Bone, Angelfall, Nantucket Blue, Ashfall, Coldest Girl In Coldtown & Jellicoe Road - because the blogosphere tells me so many phenomenal things about them all. Yes, I know I didn't stick to ten but I just couldn't - there are far too many that I really want to read. I am doing a 300 Bloglovin followers giveaway. Enter for your chance to win either a £10 or $15 Amazon Gift Certificate. I am also taking part in the Valentines Day giveaway for a Kindle Fire HDX. That's seriously a crazy amount of books. Maybe its just because I have a small library at home, but I can never imagine myself owning books that I would probably never read. Even if my library got huge I'd probably take the time to read each book that I bought (because, after all, thats the reason I bought them). Great post! I may need to get rid of some because the amount is too crazy. My TBR books pile got so big that it scared me and I boxed most of them up to make myself feel better. Out of sight, out of mind in a way. That's a huge haul!! SO MANY BOOKS OH MY GOD I am sorry but I....omg that's a lot. And I HIGHLY RECOMMEND and PUSH YOU TO READ Pivot Point, Angelfall, Altered, The Darkest Minds, Fangirl!!!!!! I know... I'm starting to feel like maybe it is just me >.< I will definitely make those books top priority! ;) I need all the help and recommendations I can get. Oh. My. Goodness. I think you have more books in your "own but haven't read yet" pile than I do on my entire bookshelf, haha. On one hand, I'm sure you'll never run out of books to read! I'll never run out but I feel completely overwhelmed! Oh my goodness. That's a crazy amount of books! I can see some really amazing books in your selection though. So you've definitely got some good reading coming up! I think I'm kinda in the same boat as you. Maybe not as intense, but close. 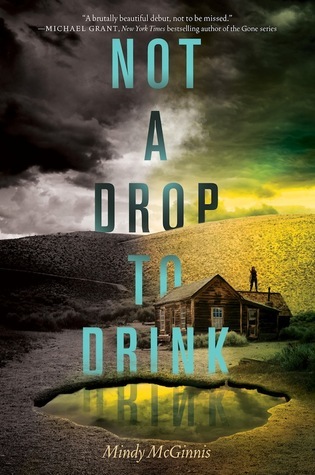 You need to read Not a Drop to Drink, right now! WOW! So many books! I thought I had a lot but I definitely can't compete :) I'd really like to read Slated though, I need to Kindle add that one before I forget. Happy Tuesday! WOW! That's a lot of books!! 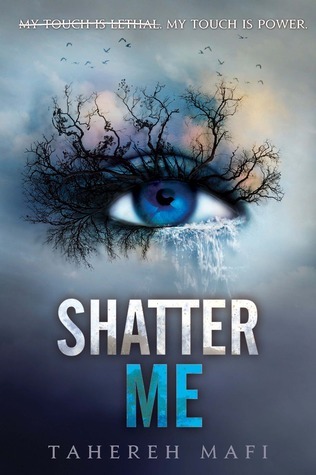 Recently read Shatter Me and liked it. Curious about the rest of it so I might be finishing that one as well! 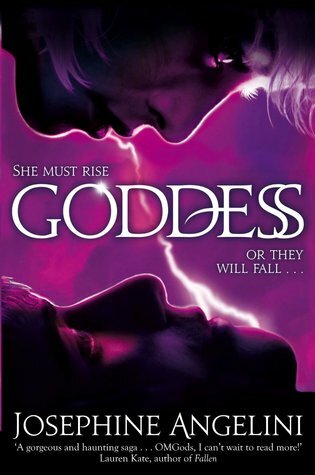 I am happy to hear Goddess is a great ending, series enders always scare me. I have heard that the sequel to Shatter Me is a lot better than the first. I own a fair few books that I haven't read, I think it's over 80 but only by a tad, so I'm thankfully I'm not as bad as other people; I just don't have the room to be! But I second you on wanting to read Pivot Point, The Duff and Goddess, because I need to finish that series! Great post! Can't ease your conscience on this one haha. My policy is usually read the books in the order I buy them. Unless I'm doing a reading challenge where I have to read something specific at a specific time. Hopefully you can somehow solve your dilemma! Every time I buy a book and I'm with my boyfriend at the time, he always complains. He usually tells me how I have hundreds that I have bought but haven't read yet. I know this feeling. My boyfriend and I also have the same argument over and over every time I buy new books! WOW! You have so many unread books! I don't think I could have passed up the offer of 3 books for £1 either! I hope you get round to reading some soon! I really want to read Pivot Point and Delirium too! I am so impatient, which is definitely one of the reasons I have put off reading them. I would hate to have to wait years for the next one. I have the same problem. My kindle has a ton too that I haven't read. There just isn't enough time. I know :( I hope I'll get to them all one day! I think I would cry if I did this topic, this honestly. I just bought new book shelves because I have so many books most still have to live at my parents' house and I'm 26. I've thought about keeping them organized by haven't read just to encourage me to shrink the pile. I'm going to be buying two new bookshelves but even then I doubt they will all fit on :( I will hopefully sort out this problem soon. Oh my goodness that is a huuuge pile! :O I hope you get on ASoIaF soon, I loved the books so much! It took me a while to finish but it was awesome. I cannot wait for more! I so have the same problem. My pile would probably be just as large except for the fact that I have moved so many times and had to de-clutter every time. I haven't read any of the ones on your list, but have a library hold on Fangirl. (I'm number 96, so it'll be a while). I want to start ASoIaF at some point but it seems like such a big commitment. It's a huge commitment and that's what puts me off! OMG I love your photo of the PILE of books you need to read that you own. That kind of makes me feel better cause I know my pile is just as bad heh. WHAT! My eyes just fell out of my head. I mean ALL THE BOOKS! I would be so stressed all the time thinking about what my next book would be. I wish you lived near me too so I could borrow all those books!! LOL! 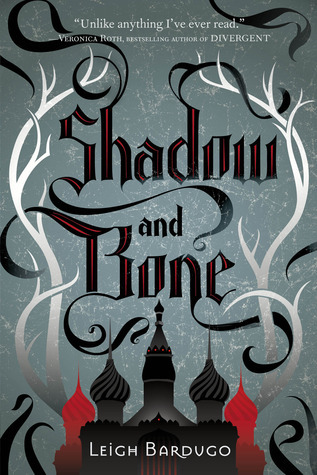 You must read Pivot Point and Shadow & Bone soon! 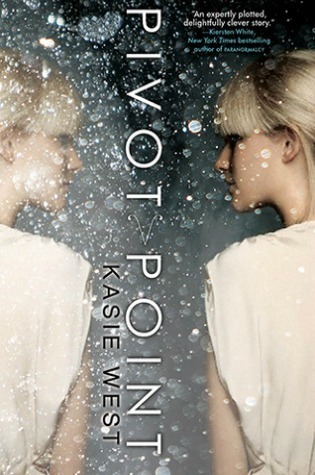 I loved those books, Pivot Point is so cute but still deals with some darker subjects. I've also heard really great things about Easy, since it was one of the very first popular NA books. Thanks for sharing! That's a ridiculous amount of books! I love it! Definitely start the Shatter Me series! So good! I just read the Archived series and didn't care for it. Holy smokes that's a lot of physical hardcopies! I haven't heard of some of these recent pickups but they definitely have some nice covers going on! 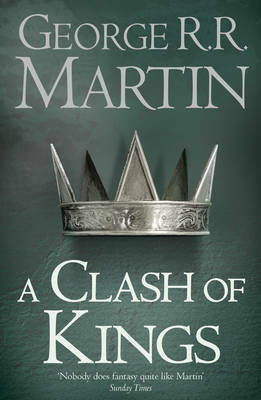 The "A Song of Ice and Fire" series is a definite must-read. But you can kinda wait because GRRM takes yeaaaars to write the next book in the series. I know... I think I'll wait until at least one more is out! :P It will probably take me years to read them and then the next one will be out. Honestly... that is A LOTTTTT OF BOOKS!!! Recently I was feeling overwhelmed by how many unread books I have, but it's no where near the amount that you have! You'd laugh if I told you how many were making me feel overwhelmed! Good luck getting through them all! I have a crazy amount of books that I've yet to read as well. I think my problem is they are getting published faster than I can read them. Lol. And I get you on TSoIaF series. I loved the first book, bought the second, but keep putting it down when I find something else so it's laying around unfinished. Fangirl is fantab! I highly recommend. Glad to hear Fangirl is good! :) The own but haven't read pile is too overwhelming... probably why I never organized them all before! 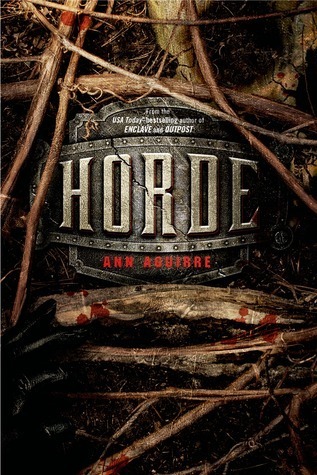 I really liked Ally Carter's series, and I own Not a Drop to Drink and still need to read it too! Wow! That is a lot of reading you need to get done! You better quit everything and just read for the next three years straight! Uffda! You have have made me feel a bit better about the number of books I have that I have yet to read. You have so many books that you NEED to read. Like immediately. I'm afraid a similar pic for my book collection would be just as...LARGE. I would suggest you get to Easy! So loved that one. Ermahgerd, there are so many good books that you need to read. Right now. 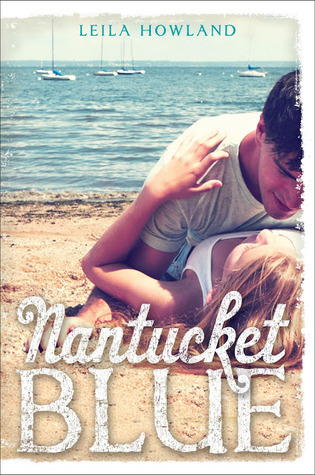 Shadow and Bone is just amazing, Delirium is awesome, and I heard Nantucket Blue is pretty good. And yes, I also need to get on with the rest of A Song of Ice and Fire series. So many good books, so little time, sigh. :) Thanks for visiting my blog! So many great ones on this list! 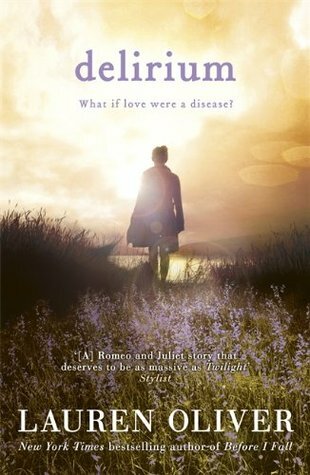 You must read Jellicoe Road ASAP - it is SO GOOD!! I also really love Daughter of Smoke and Bone, Shadow and Bone and The Darkest Minds. You have LOTS of great reading in your future! You are so organized! I choose to have mine all jumbled together so I can avoid the guilt. Thankfully I don’t purchase too many books anymore but I do have a problem of going to the library when it’s time to start a new book rather than going to my owned TBR pile. I think I just love the sensation of shopping for books and I can do it for FREE at the library *giddy laugh*. I am not organised at all... I had to get these all out of storage boxes and off the shelves where they were all just jumbled together. I wanted to organise them in order to make myself realise how bad I am! I think that's the same for me.. I work at the library too so I get tempted by new books everyday. Holy crap! That is a LOT of books!!! Do you have a room in your house that's a dedicated library?! That's pretty cool, though. I probably have as much on my kindle - all of the Amazon deals and freebies are hard to pass up, though I have yet to read most of 'em. Wow! And we have a lot of the same tastes! I have a lot of those on my To Read List. (Easy wasn't that good, in my opinion). 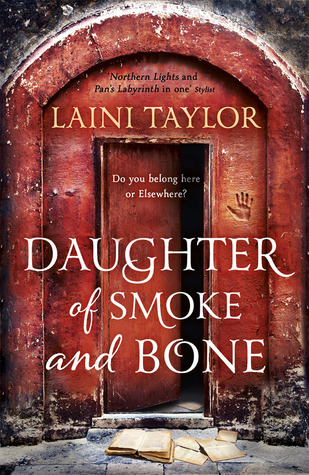 I haven't read most of these, but I can at least attest to the amazingness that is Fangirl and OH MY GOD Daughter of Smoke and Bone!!!! DOOOOOO IT ;) Then I won't feel so alone in my craziness. I don't even have Horde lol... I put the wrong photo as it was supposed to be the first book. But I am happy to hear it has a good series ender. I am happy to find so many others who have the same problem as me. I work in a library so I get tempted to take books out everyday and have 0 will power to stop myself. Fangirl! You must read Fangirl! Not to shame you but seeing these pictures has made me feel better about my own tbr, mine just takes up one whole small bookcase! Okay so I'm not that much better than you. =( Buying books is a series addiction! IT IS!!! I am happy I am not the only one who feels that way... working in a library does not help. And now I feel better about my pile of unread books ;) - but it's so easy to just buy one here and one there and the pile just keeps growing! It does! I work at a library so I keep borrowing books instead of reading the ones that I own. Wow that's a whole lot of unread books! I can totally understand how easy our to-read stacks can get unwieldy. All I can say is WOW! so many amazing books <3 NEED!!! I swear I just want to do a job so that I can buy all the books I can, I am still a student tough. Woah, that's amazing! Great list, I dread to think how many books would be in my 'still to read' pile! I've found myself stuck midway through 'A Song of Ice and Fire' too, I keep meaning to pick them back up, but I know what you mean about the length of them! They are just soooo long... I could probably read three books in the time it would take me to read one of those. New GFC follower :D Thanks for stopping by my TTT! 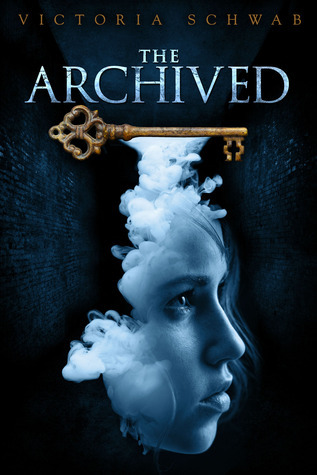 Great list!I read some of the books you added and really enjoyed them.I really want to pick up the Archived someday but I'm not sure about it.And I included Shadow & Bone in my list as well!Thanks for stopping by my blog earlier.Happy Reading! I have this problem as well! You are not alone! You have to read Easy though! That book is fantastic. I would start with Slated, Pivot point, Fangirl or Shatter Me if I were you! A very good topic! Of the books you've recently bought I think I have at least 9 of them. I have read a few of them, but not the majority of them. I see you're also doing the TBR Pile Challenge. That's helping me read at least a few of my TBR books...lol. Actually, now that I've seen a picture of your physical books that are just waiting to be read, I don't feel so bad about the hundreds of books still sitting on my kindle... And at the same time, I really, really want to read them all! Ha I kept away from my Kindle... I don't want to see every book that is waiting on there. Yippee! I am not the only one who HAS to buy a book and then takes ages before reading it! I'm kind of jealous of that beautiful stash of unread books... especially because I know you've got another stack of read ones! I have been dying to read Pivot Point sometime soon. 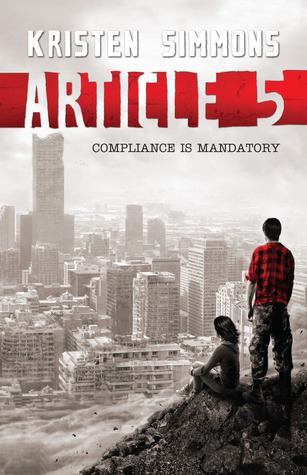 It might be moving up on my TBR list... something about the cover keeps drawing me in. Thanks for visiting my blog! I thought I was the only one who had stacks like that. >.> Not a Drop to Drink is so.amazing though. Seriously. I hope you like it when you get around to reading it. I almost did this one, but I didn't want to show everyone how bad my collection was. :) Thanks for stopping by. Wow. Just wow. I try to keep my unread books that I own below two dozen. Any more than that and I feel like I'll never get through them. Thanks for visiting my blog. I LOVE this topic! I have SO many books that I have not read (but not as many as you, lol) so you are not alone. Many of the books you recently bought are in my GoodReads to-read list. But, I don't have time to read while I'm in school. During the summer, though, I'll be reading non-stop and I'm super excited! Wow! I thought I had a lot of books that I needed to read but you have me beat, lol. I loved Article 5, Angelfall, Pivot Point, Shatter Me and Fangirl :) I have Not a Drop to Drink but I haven't read it yet, hopefully soon. Well at least I am making some people feel better about their collections. That is an incredible stack of books! How have you not continued with A Song of Ice and Fire. Jenna Does Books is doing a readalong. You should join up! Wow, that big stack of books makes me want to read! (Well, most everything does, so that comes as no surprise.) The internet has not lied to you: A Song of Ice and Fire, Fangirl, Shadow and Bone, etc., are all fabulous reads. 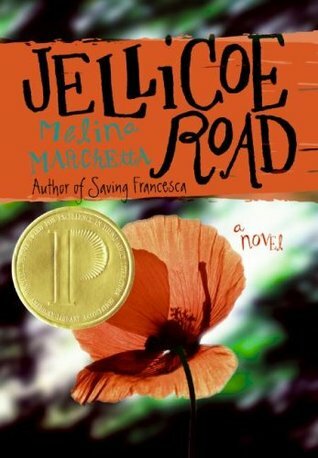 I also have not read Jellicoe Road though, and I have no idea why. So I'm with you there. Good luck purging your bookshelves, and happy reading! O...M...G....I think I am SHOCK. 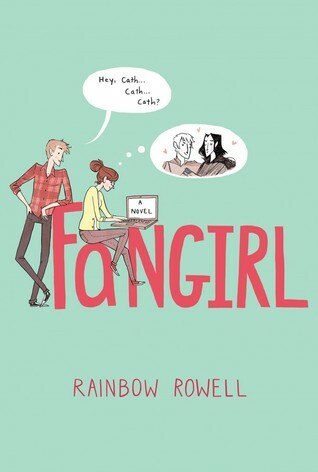 You DEFINITELY need to read Fangirl. I loved that book. 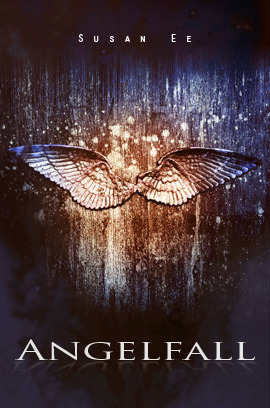 I also loved the entire Josephine Angelini Starcrossed series, so you should read Goddess as well. 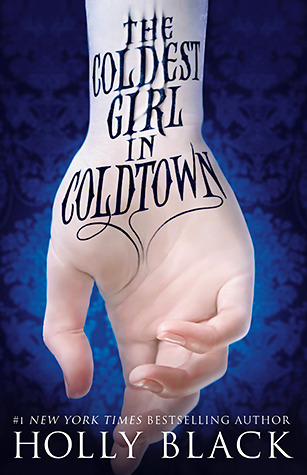 I am currently working my way through the Gallagher Girls series and I just picked up a copy of The Coldest Girl in Coldtown. I hope to get through those within the next few months. Good luck with that HUGE stack. Thanks for stopping by my TTT! Thanks... I hope to make this stack smaller soon! Thanks for visiting Jorie’s Read’s by Starry Night Elf ! ... I completely sympathize with you about the books you've bought but haven't read. Wow, that is an impressive stack of TBR books! Luckily, I read mostly ebooks so I don't have the physical books themselves staring me down lol. I recently finished Fangirl and The Coldest Girl in Coldtown and loved them, and I added a bunch from your list to my TBR pile! Thanks for stopping by my blog No Money 4 Books! Wow, that's a lot of books :) You should definitely continue with The Game of Thrones, don't let the size stop you, the books are worth it. 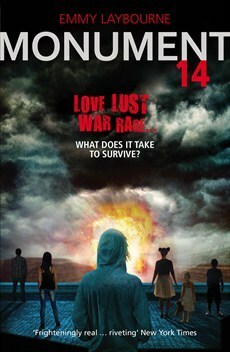 I also loved Easy and On Jellicoe Road! Wow, those are some awesome piles of books! I should take a picture of all of my unread books too -- maybe that'll shock me into not buying any more for a while. (I doubt it, thought). You've got some great books on your list this week! I love the George R. R. Martin series (yes, they're huge, but so good! 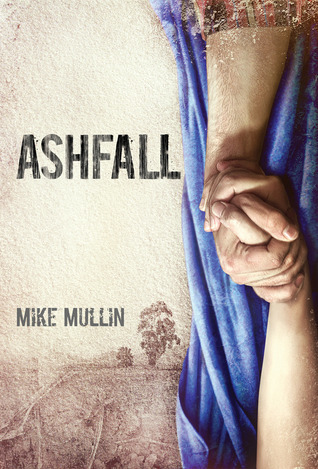 ), and I thought Fangirl and Ashfall were terrific. Good luck! I have the same problem! I buy so many books but then it takes me forever to get to reading them. It's crazy! But out of all of these - READ FANGIRL RIGHT NOW! OMG I can't get over how much I love that book. It's fantastic. And I hear ya with GoT. I LOVE the series, but every time I go to pick up the next one I"m like "UGH I know it'll be good but it's just sooooo looooong." I know... it's probably why I avoid it because I would have to carry it to work everyday. Same with GoT. Trust me, you are not alone. I just did a physical count of my owned TBR too. And I'm at about 310(I've bought more since than). Not including Kindle as well. I could definitely point out all the ones I love from your recent purchases, but you know you need to. From your top picks I says you MUST read Easy. I absolutely adore that book. Fantastic NA! Fantastic! YAY!!!! I don't feel so crazy anymore now that their are more of us! =P It didn't stop me either... I've bought about 5 more books since =/ Everyone seems to say Easy or Fangirl so I will get to those soon! My shelf isn't that full...mostly because I've been working on pairing it down the past six months. I do feel your pain though! I highly recommend Fangirl, Shatter Me, and Easy. Thanks for sharing! Wow - you have more unread books than I have in my entire book collection. Not that there's anything wrong with that! I am very, very jealous. :D I rely on my library so much and the fact that I don't exactly have a job limit me from having such a huge collection, but I think I want to be you when I grow up - or at least have your huge number of books. :D Anyway, you have plenty of great books in your piles - I hope you get the chance to finally read them soon! And sorry for all the exclamation points - I guess I'm trying to give you almost as many exclamation marks as you have books! Me too! I am nervous that it is this big now... because I am only 22 and have a lot of book buying years ahead of me! I work in a library and so I borrow books a lot and never seem to get to my own! Ah, DUFF! I've heard so many good things about that! I want to read it so bad :3 But I feel like if I did buy it, I'd never read it--like you xD And I'm intimidated by A Song of Fire and Ice. Seriously. Those books are so long. So. Freaking. Long. :l I just don't know. It will probably happen one day. And man, your poor boyfriend must think you need a mental institute. My friends sure do. They are soooo long that it is unreal and it puts me off so badly. Plus he loves killing characters and it's bad enough having to watch them on the show... it will be so much worse reading it! I seriously have a problem! Oh he really does and yet he does keep buying me books? I don't get it but I love him for it ;) I really need to hurry up and get to most of these... everyone keeps recommending Fangirl & Easy so I may start with those. You must read On The Jellicoe Road. You just MUST! it is my all time, favourite book and it is incredible. Also, I am very jealous of your book stacks. Wow. Wow, that´s a lot of books! But you need to save the Jean M. Auel ones from your storage pile, save them!! They are fantastic, and my favourite books ever, and I assure you will love Jondalar. Great pick! Me too, it would make my TBR list just that little bit more endless. Thanks for stopping my by TTT - and sorry for the late reply! Wow. I thought my 54 books that I've bought but haven't read was bad. You're in a deeper hole than me! lol Have fun going through those books :) Maybe you'll pick one up once you're finished! Wow! My hubby might kill me if I had bought that many books that I haven't read yet. lol You have so many great books there... Fangirl, Shatter Me, Ashfall, Delirium, Jellicoe Road, Daughter of Smoke & Bone... I loved all of those!!! And there's so many that I've heard great things about as well. I really need to do what you did and pass on/donate/sell the ones I don't want! But it just seems like even more organising! You really have to continue ASoIaF! A Storm of Swords is the best - soooo epic! 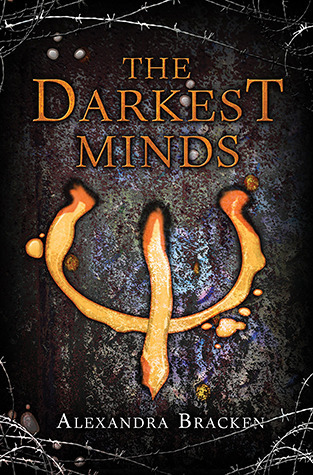 I really enjoyed The Darkest Minds. I'm a sucker for great atmospheres and this one was wonderfully dark. Speaking of great atmospheres: Jellicoe Road was one of my favourites of 2013 - such a dramatic and bittersweet summer! I read it in one sitting because I just couldn't stop reading although I had to study for a statistics exam. You are most definitely not alone! I have so many books I have yet to read!